I did follow the directions and attempted to add lyrics through iTunes. But the app crashes during download. Not sure if it’s because lyrics are not available or the app is not working. I can, however, import lyrics from the Internet via text editor. It’s easy enough so the app does serve its purpose, especially for an amateur. But if you’re looking for something for professional use, I suggest looking for something else. 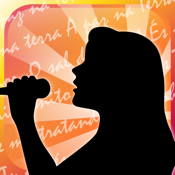 As a professional vocalist I use this app constantly. It’s good. My only gripe is that there is no way to highlight lines for harmonies or male/female vocal parts. Please please please add this function to this app and it will be the best on the market! !